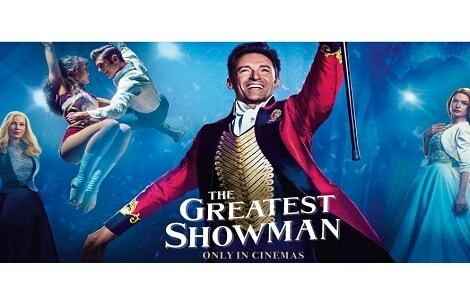 WIN a brand new Clavinova CLP-635 with a brilliant new competition to celebrate the release of this year’s epic theatrical movie 'The Greatest Showman'. Now's your chance to become Star of the Clavinova with a brilliant new competition to celebrate the release of this year’s epic theatrical movie 'The Greatest Showman'. Starring Hugh Jackman and Michelle Williams and inspired by the imagination of P.T.Barnham, the film celebrates the birth of show business and tells the story of a visionary rising from obscurity to create a worldwide entertainment phenomenon. Yamaha have teamed up with movie makers 20th Century Fox and will be installing 8 specially commissioned, uniquely themed 'Greatest Showman' Clavinova digital pianos in 8 major shopping centres throughout the UK from Monday 4th December. Simply perform 'This is Me', the title track on any Clavinova, perhaps even one of the specially themed pianos, making sure to video and upload your masterpiece and you could win a brand new Clavinova CLP-635, with runners-up receiving 'The Greatest Showman' Goody bags. Make sure you upload your entry to Facebook, Instagram or Twitter using #YamahaShowman. An extract of the sheet music is printed on a limited number of Yamaha Greatest Showman Pianos, but you can play any part of the song you like – just make sure you upload and use the hashtag! Be sure to make your posts public so that we can see them, otherwise you won’t be entered into the competition.